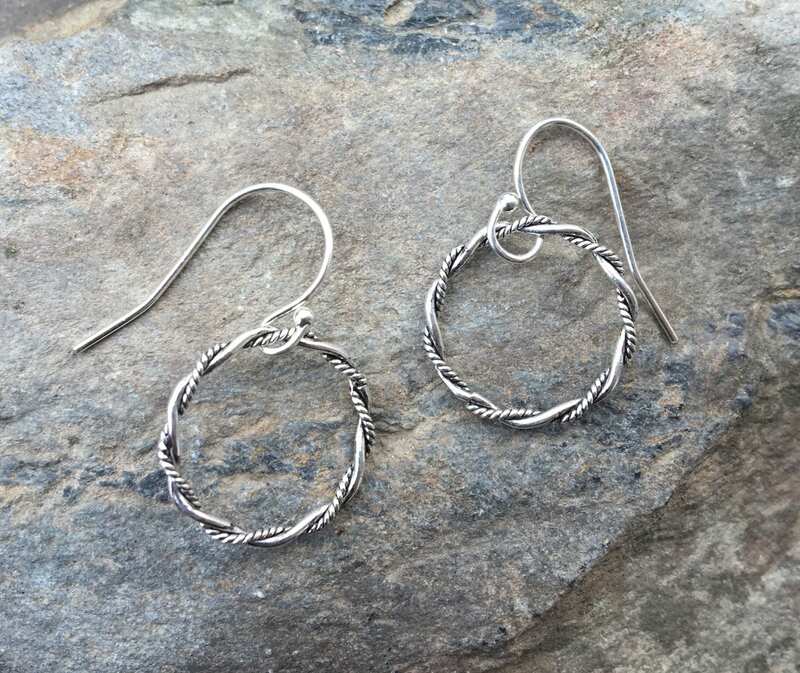 These are perfect earrings to wear all day every day! 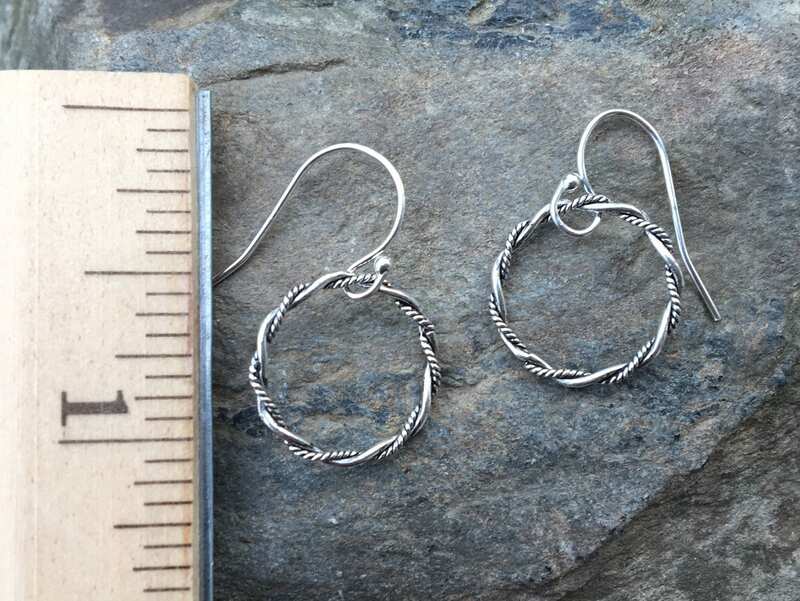 These earrings are nice & light to wear on your ears. 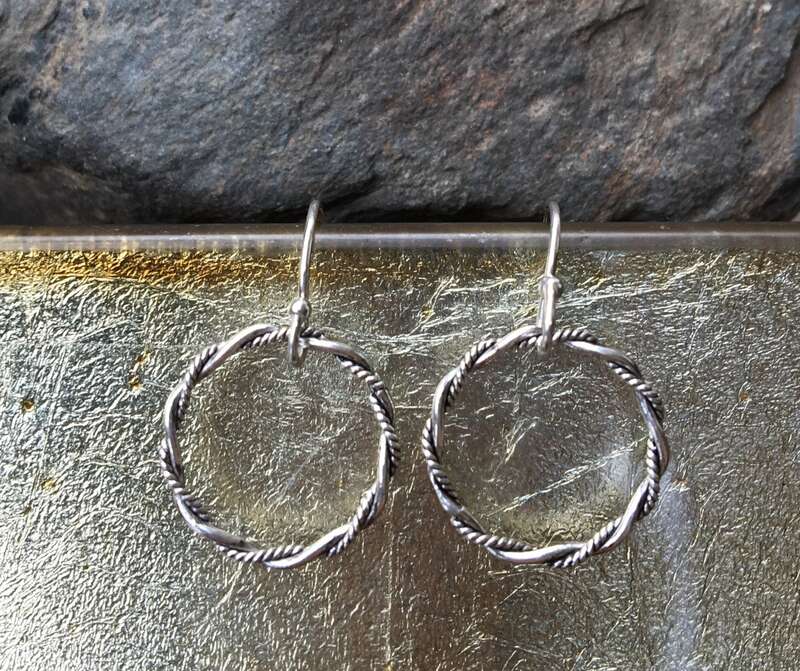 Twisted sterling oxidized circles are paired with simple sterling hook earring wires. Outside diameter of sterling ring measures 9/16” wide. Arrives in a black box with magnetic white ribbon. Perfect for gift giving.